I thought only the furniture at Restoration Hardware that is gigantic. Apparently the company is run by giants. Who knew? 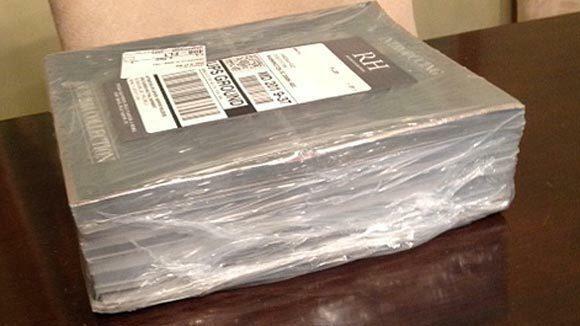 My restoration hardware catalog didn’t fit in the mailbox. I could barely lift the catalog up! I prefer to shop at their store located near me but this is the first time their catalog was so voluminous. I could use it for my abdominal muscle workout! Who needs an Equinox membership when I have the catalog for my abs routine? Some people call me white, some people call me oreo. I am a Vegan Model. I am a member of the Vegan Elite. I am overcoming mortal boundaries. The truth is always stranger than fiction. How’s the Catalogue-slash-ab workout going?